(Korea) The confreres of the Korea Region came together for “Gaudeamus” to prepare for the Regional Assembly (Chapter) on 1st January. 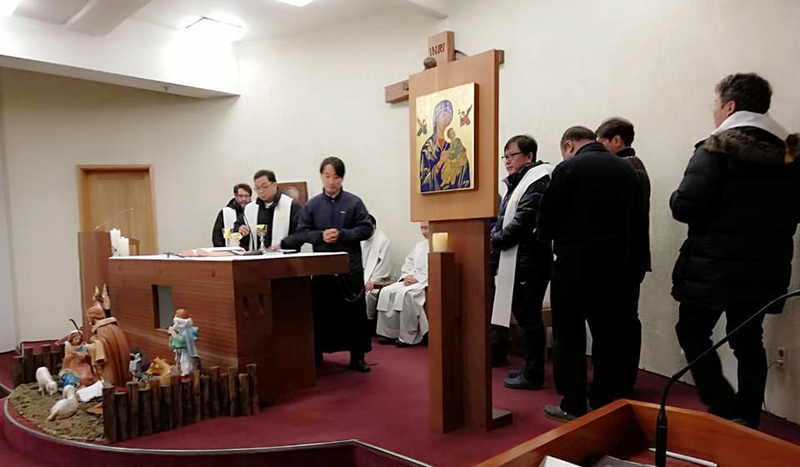 The spirit was lively as it was the first time, they had come in the new year from three communities. The first day of the Assembly was a day of recollection. A lay theologian helped our reflection by giving two talks on the non-Christian religions’ teachings and the Catholic past evangelization work in the midst of these religious cultures. 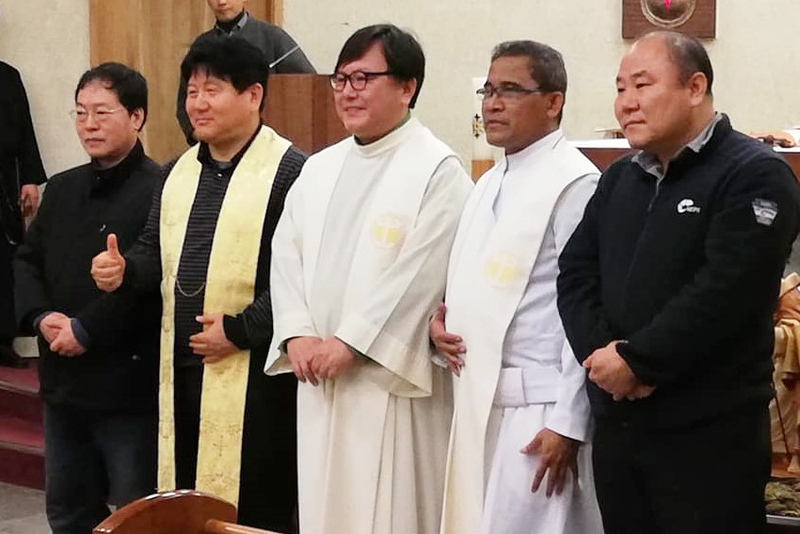 These talks were helpful in the present ecumenical movement in South Korea. 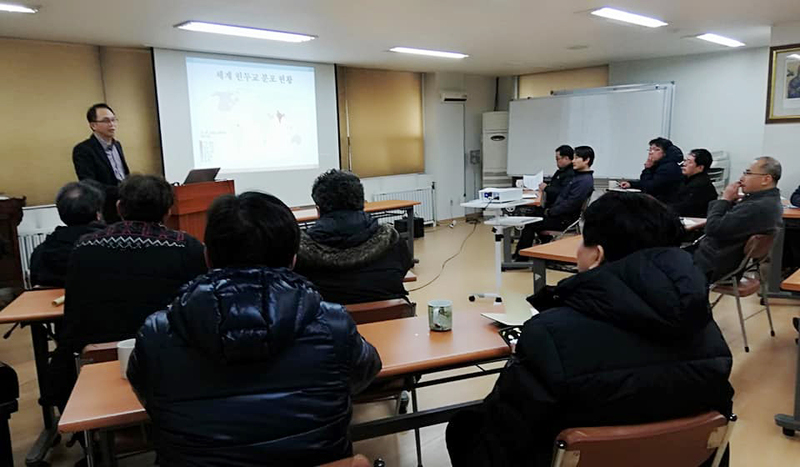 The 15 delegates to the Regional Assembly of Korea Region came together for a five-day meeting to discuss important matters and to elect the Regional Superior and his Consultors. 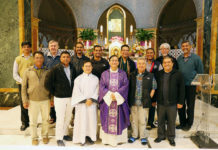 Among the delegates was Fr. Sebastian Ani Dato, the General Consultor, represented Fr. General. Fr. Ben Ma, the Coordinator of the Asia -Oceania Conference was also present as a participating observer. The Assembly agenda and materials were very well prepared by the Assembly Preparation Committee. So, the five days flowed smoothly. 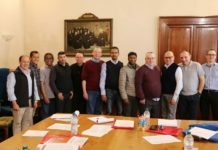 No big problems delayed the activities… The delegates voted on the previously discussed changes in the Regional Statutes for submission to the Generalate. We looked at the establishment of a Committee for our entrance to North Korea which could happen in the near future. Regional Superior: Fr. Casimiro Kwon, C.Ss.R. Vicar and 1st Consultor: Fr. Paul Han, C.Ss.R. 2nd Consultor: Brother Jacob Yun, C.Ss.R. Supplens for the 2nd Consultor: Fr. Stefano Jung, C.Ss.R. 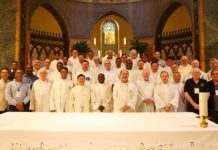 Vocal for the Conference Meetings during the quadrennium: Fr. Joseph Kang, C.Ss.R. 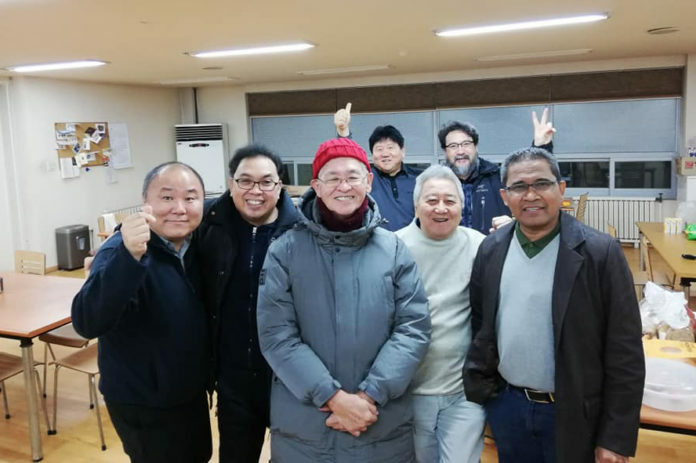 The presence and participation of Fr. Sebastian Ani Dato and Fr. Ben Ma were a great help to clarify matters concerning the thrust of the Congregation. We are very grateful to God for the blessings we have received during the Assembly. Previous articleWorld Alphonsian Day: Let’s begin!